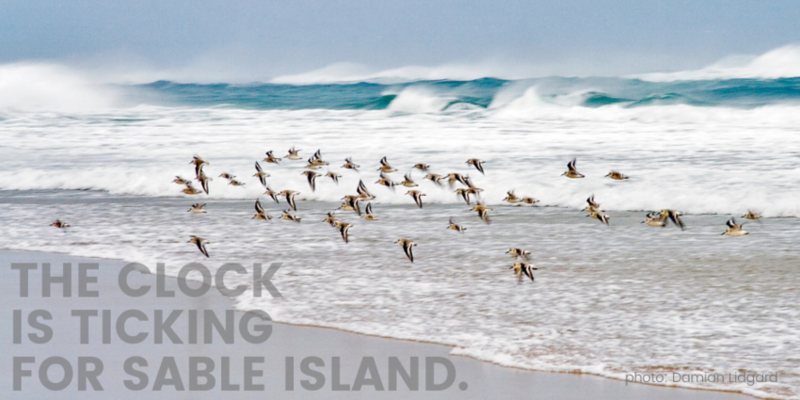 The Canada-Nova Scotia Offshore Petroleum Board will accept your letter objecting to oil drilling on Sable Island until 4 pm (AT) February 8, 2019. Your comments will be made public, so let's make it clear to the world (and the oil industry) how much we oppose these leases! Just before the holidays, our government put Sable Island up for grabs. It is absurd that this magnificent place has been thrown out for bids. Since we heard about the Call for Bids, we have met with the MP for Halifax Citadel - Sable Island, Andy Fillmore. We are anxiously awaiting his response to this threat to Sable Island. Sable Island is a fragile sand dune and could be destroyed forever – by an oil spill, and by the drilling itself. Not to mention the damaging effects of seismic testing on precious marine life surrounding the island. We must do everything we can to stop this outrageous proposal to allow drilling on one of the world’s most wild and iconic places. Please take this opportunity to send your letter to the offshore board immediately. These beautiful images have been provided with permission by photographer Damian Lidgard. Many thanks to Damian for sharing his narrative of this special place through images.